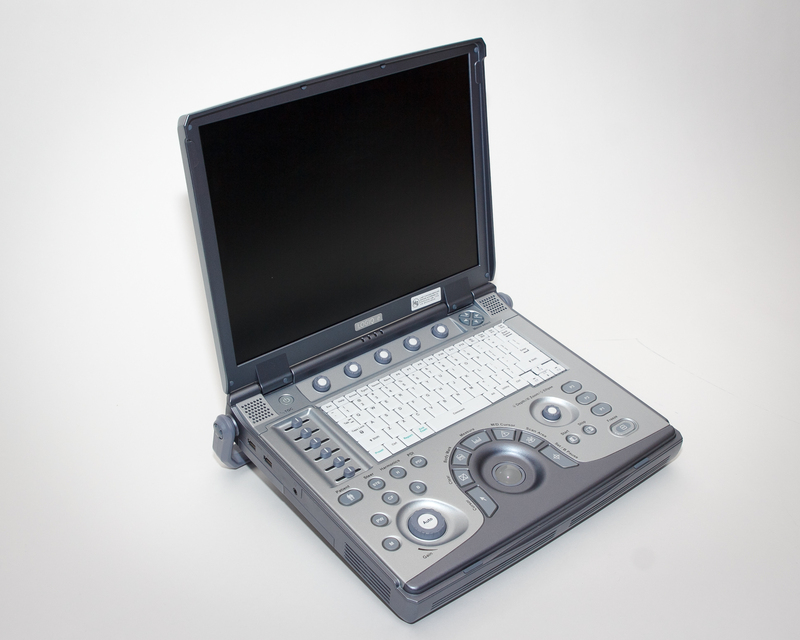 For several years, the GE Logiq e has stood as one of the most popular GE portable ultrasounds due to its price, performance, and capabilities. Featuring shared service capabilities for networked clinics and a stress echo option for image quality across all applications, the GE Logiq e emphasizes convenient, reliable use for your clinic.In addition to its built-in imaging features, such as CW Doppler, Coded Harmonic Imaging, and more, this portable, laptop-sized ultrasound is extensively customizable. You can adjust all aspects of its image quality, annotations, presets, programmable buttons, and so on. Furthermore, you can include several optional technologies as well, including CrossXBeam compound imaging and SRI Speckle Reduction imaging. We give the Logiq e high praise. It has been a long-standing icon for a laptop-sized portable ultrasound machine. GE has continuously improved on this platform and has been among our most popular portable used ultrasound machines for sale. Its versatility is one of the reasons it’s been so popular. We’ve sold it in nearly every small, medium and large offices, as well as many hospital departments for Point-of-Care scanning.